Need an expert locksmith for Mercedes in Atlanta area? Look no further as we offer trusted Mercedes key replacement, rekeying and duplication locksmith service in Atlanta, GA. Call now. Are you searching the internet high and low for a qualified local Atlanta locksmith for Mercedes cars? Then you’re in luck. The experts at QuickPro Locksmith are proud to provide Mercedes key remake services, key cutting for Mercedes vehicles, Mercedes lockout assistance and Mercedes key replacement in Atlanta, Georgia and surrounding metro area cities. Whether you’re struggling with an unexpected lock emergency, or you need to schedule a convenient appointment, we have a Mercedes locksmith in Atlanta who is ready to come to the rescue. Call today for more information. Key duplication used to be a relatively simple process that could be performed by minimally skilled hardware store employees. However, with the popularity of transponder keys, vehicles have become increasingly more innovative and creative with their lock and key designs, particularly for luxury vehicles. While this is a benefit for those looking for added security and convenience, it does make a Mercedes key remake service more difficult to undertake. Many people assume they must get extra sets of keys from their dealership, which can be expensive and the process can take days or even weeks. Thankfully, there’s no reason to bother with dealership hassles. The professionals at QuickPro Locksmith are excited to offer premium luxury car key duplication and Mercedes key replacement in Atlanta, GA and nearby areas. Best of all, we will create your keys instantly at your location, so you can get what you need quickly and conveniently. Have you damaged or lost your only set of keys? Another great service offered by our Mercedes locksmiths in Atlanta, is new key cutting for Mercedes vehicles. Whether you need key cutting, transponder key programming, ignition replacement or new automotive lock installations, the mobile technicians at QuickPro Locksmith can do it all. Getting locked out of your car can be one of the most frustrating problems for busy drivers. Whether you’re in a hurry to get the kids to school on time, have an important business meeting to attend or are ready to get home after a long day at the office, it’s important that you can stay get back behind the wheel fast. An Atlanta locksmith for Mercedes cars can help you find a quick and effective solution to your lockout issues, so you can get back on track fast. 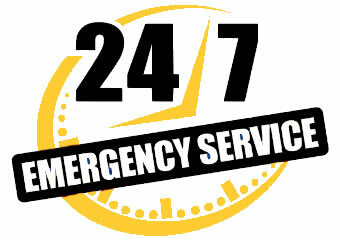 That’s why QuickPro Locksmith enjoys providing our emergency Mercedes lockout services 24 hours a day, 7 days a week. Are you tired of searching for a reputable Mercedes locksmith in Atlanta, Georgia? Then call the experienced experts at QuickPro Locksmith and get the help you need right away. Our mobile technicians offer a wide range of residential, commercial and automotive services so you can have a secure and safe place to live, work and drive. Contact our office to find out more about our offerings in your neighborhood.